Planning an event you want the local community to know about? Want to tell folks about your business? 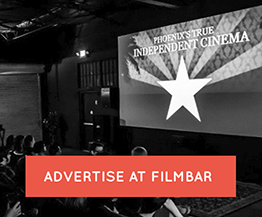 FilmBar’s on-screen advertising program might just be for you! 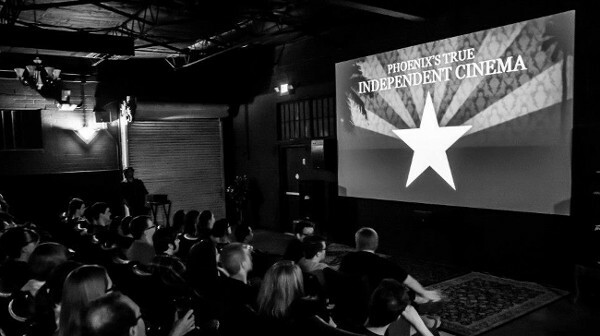 For 15 minutes before each screening, FilmBar presents a slide show containing fun, informative content (typically, FilmBar, AZ-related, and film-related trivia). We’ll throw your slide in the mix so you can tell our audience your message! We limit the number of slides presented in our slide show to 40 to assure your message gets plenty of face-time with our customers. Each slide is presented for ten seconds before moving to the next so that in a 15 minute period, your slide will be shown a minimum of 6 times. We average 25 screenings per week, giving you 150 highly-engaging impressions per week! For any other length of time, call or email us for a quote!